You can cook clams in the shell or shuck them. 3 How Fast Does Cooked Spaghetti Squash Spoil? 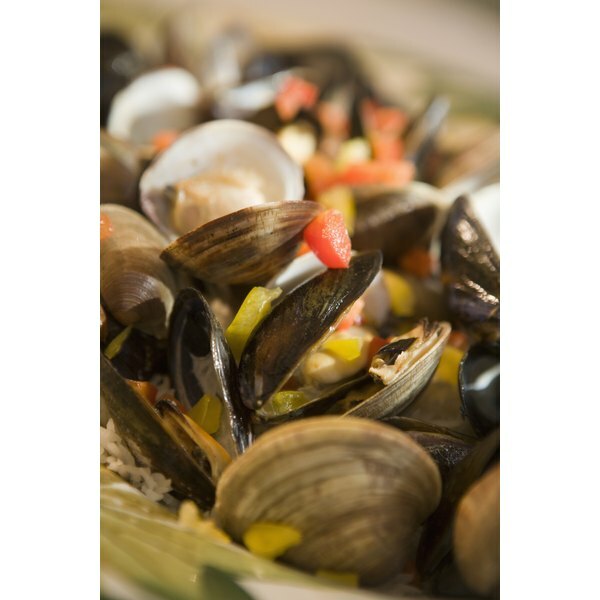 Clams come in a number of varieties, including the hard clam and soft-shell clam, both having many culinary uses. If you have clams on hand but do not plan to use them right away, you can shuck the clams and place them in the freezer for later use. Once you decide to use your frozen clams, keep in mind that using them in the frozen state “will take approximately one and a half times as long to cook,” explains the USDA. 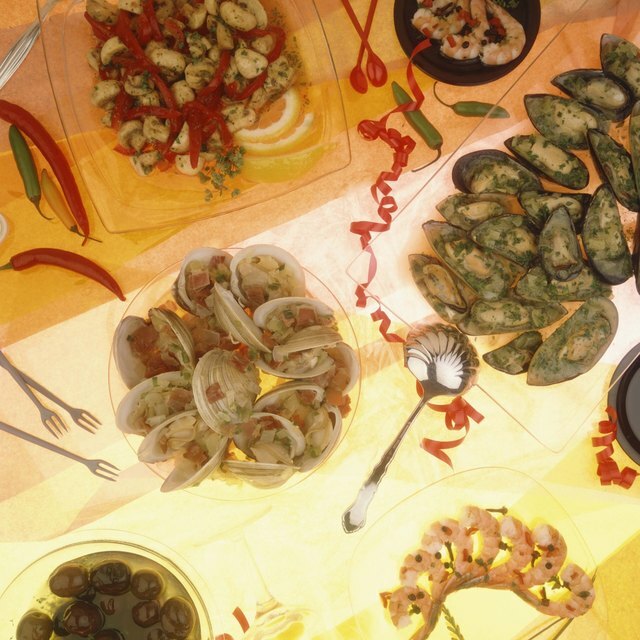 The frozen clams can be used in a variety of cooking methods. Pour the frozen clams into your soup or chowder. Over-cooking the clams can make them tough and chewy, so you will need to add them in the last 10 to 15 minutes before you plan to serve the soup. Add clams to a sauce and serve over pasta. You may choose to create a white sauce from sautéed onions, garlic, butter and white wine for your clams. However, clams also work well in a tomato-based sauce. To prevent tough, over-cooked clams, add them approximately 10 to 15 minutes prior to serving. Include clams in a casserole. You can mix the clams with warm, cooked bacon, onions, garlic and seasonings, and then add bread crumbs. If the mixture appears dry, you may need to add water or clam juice. After stirring, place the mixture in a greased baking dish and sprinkle it with cheese, baking it for approximately 30 minutes at 425 degrees. You can thaw frozen clams by placing them in the refrigerator for 24 hours. If you purchase frozen clams, look for the tag or label that shows the processing plant. This will show that the clams came from a processor that follows government regulations and controls for shellfish safety. Can You Thaw & Refreeze Clams? How Long Do Clams Last Unrefrigerated?